Making your website mobile friendly helps your potential customers who use smartphones and iPads to browse the internet. Mobile devices are designed for people on the move, and by making your website mobile friendly you will win customers. Mobiles devices try to accommodate for large verbose sites with swiping and pinching capabilities. However, this consumes time and does not offer the experience that mobile users have come to expect. A huge percentage of businesses are losing prospective customers online because of bad mobile browsing experiences. The reason of course is that websites built for large screens become almost unusable on much smaller screens. Can you afford to ignore the bad experiences that your website may be offering your mobile audience and potential customers? In 2013, mobile web usage has increased to the point you can no longer afford to ignore mobile device users. The good new is that most Australian businesses still don’t have a mobile optimised site, so now is the prime time for you to build one. If you don’t, the chances are high that your competitors will. Where current website owners are being asked ‘Is your website mobile friendly’, new websites owners are being told to ‘Think Mobile First’. Why? 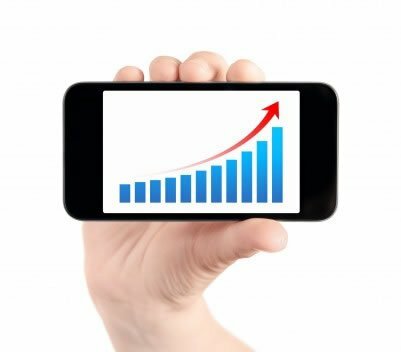 More are mobile browsing than ever before, so it makes sense that you optimise your website for mobile usage first. Optimising for PCs first can only lead to the bad experience, and loss of business. Next: Is your website Mobile Friendly? Whether you are a start-up business, new to the web or already have an established web presence, I’d love to hear about your web project, and work with you to help your business grow.